For the best New York hunting, check out any of these great outdoor venues. If you're looking for the best hunting NY has to offer, Fun New York is your go-to guide. A Great Spot for Hunting, Lodging, and Dining! 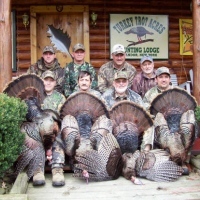 A prime destination for wild turkey hunts, lodging, dining, and celebrations; Turkey Trot Lodge has been entertaining visitors since 1987. Owned and operated by a licensed New York State hunting guide, it has slowly developed into one of the finest hunting lodges in the U.S. All hunting is strictly done under fair chase conditions. You won't find any game feeders, high fences, or pen-raised gobblers. Hunting trips often occur during the months of May, October, and November. The lodge itself contains 3,800 square feet of living space and can accommodate up to eight hunters at one time. Inside you'll find four bedrooms, a large private bunk house, four bathrooms, a trophy and game room, and a stone fireplace. Plus, you will be kept fed with delicious, home-cooked meals! Hunting is so popular in the world. Safe hunting is so encourage-able to anyone. 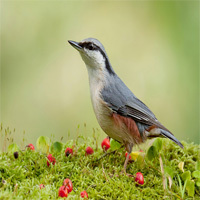 You will get the proper environment and perfect animals and birds for hunting when you are in NY. You need not to worry if you are not a good hunter, the Department of Environmental Conservation will give you proper guide about all of your known and unknown topics. This agency is ready to make your hunting trip seven days a week. So, prepare yourself and prove yourself as a good hunter.